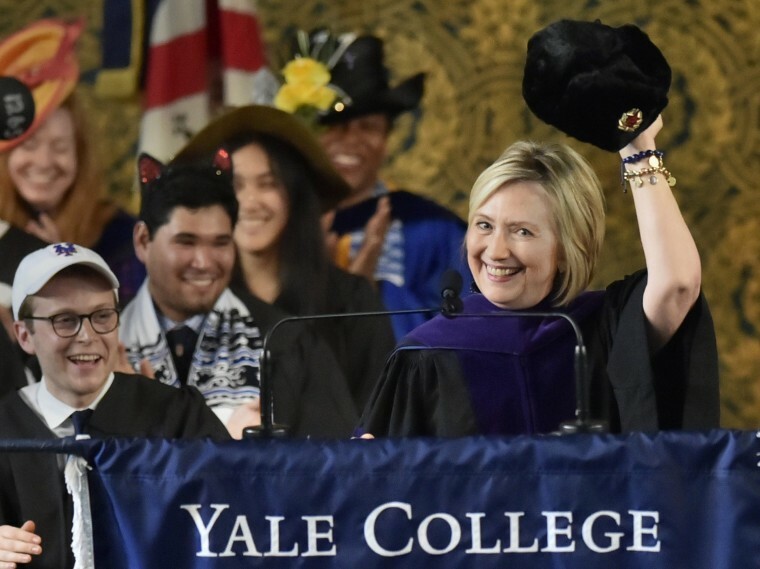 NEW HAVEN, Conn. — Hillary Clinton returned to Yale University this weekend, warning the graduating class of the "tumultuous times" that await them and using the school's tradition of over-the-top headwear to rib President Donald Trump with her own unusual hat: a Russian fur cap. Clinton says she's concerned about the country's political polarization but believes the current crop of graduates is prepared to rise to the challenge. Clinton delivered her address at Yale's Class Day, celebrated the Sunday before degrees are handed out. The former first lady, secretary of state, New York senator and 2016 Democratic nominee for president graduated from Yale Law School in 1973. It was where she met her husband, former President Bill Clinton.